This is a variation of the traditional Khoresht Naranj. A traditional tomato based Lamb stew with Okra. For a special friend Briar. Enjoy. 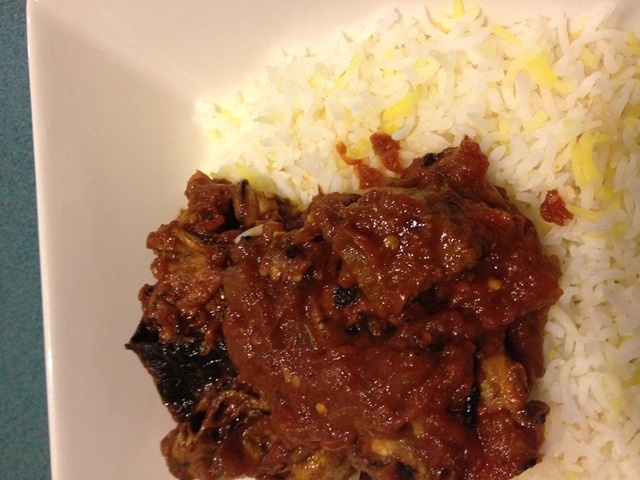 A delicious tomato based lamb stew with eggplant. Great served with either rice or bread. This was one of the first Persian dishes I learnt to cook and would have to be the most popular Iranian dish in our household. This dish is well known in Persian Cuisine. The delicious aroma of Gorme Sabzi cooking will fill the street. Many times I’ve had guests for dinner and when greeting them at the door they comment on the wafting aromas as they walked down the street.